Leopard print is one of fall's most popular trends. You can find this print in shoes, scarfs, dresses, tops, etc... 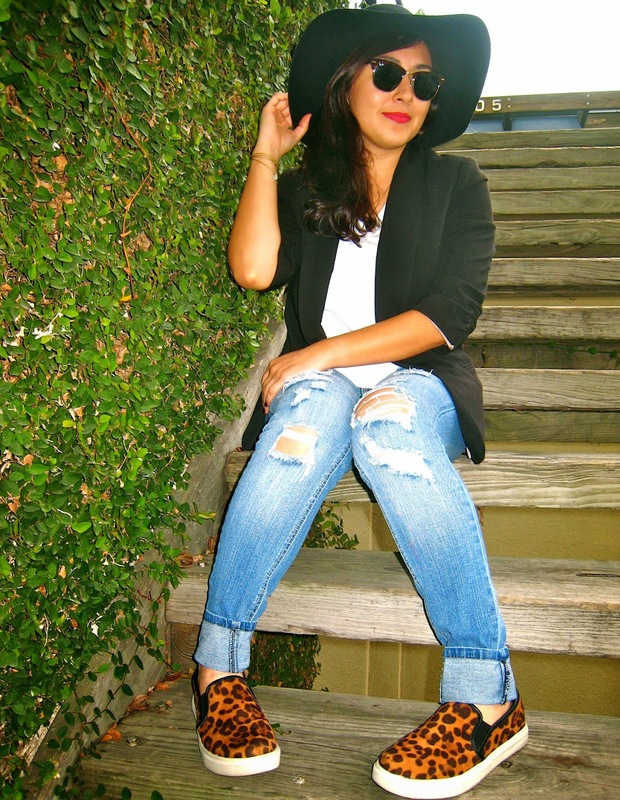 I've been obsessed with leopard shoes since last fall. I wanted to buy some expensive leopard sneakers, that I saw online, but later I came across these Target "Dedra Flats". I compared both products and learned they were both made of the same material. The only difference was Target sneakers cost half the price. I payed only $24.99, this was a STEAL! Plus, they are very fashionable.